Central Park in middle-upper Manhattan, one of the most famous parks in the world, is the most visited urban park in the United States. 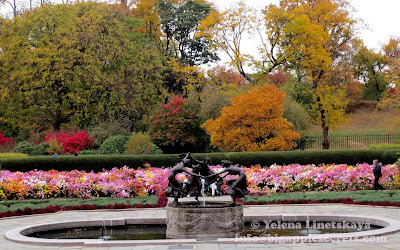 The Conservatory Garden, located at 5th Avenue and 105th street, is the only formal garden found in Central Park and fall is the best time to visit it. In Spring there are masses of tulips on the flower beds and now Korean chrysanthemums are in full bloom. The garden is open daily from 8am until dusk and is free. The Garden takes its name from a conservatory that stood on the site from 1898 to 1934. The park's head gardener used the glasshouses to harden hardwood cuttings for the park's plantings. In 1934, when maintenance of the facility had become too costly, the conservatory was demolished and replaced with the present Garden, which opened to the public in 1937. 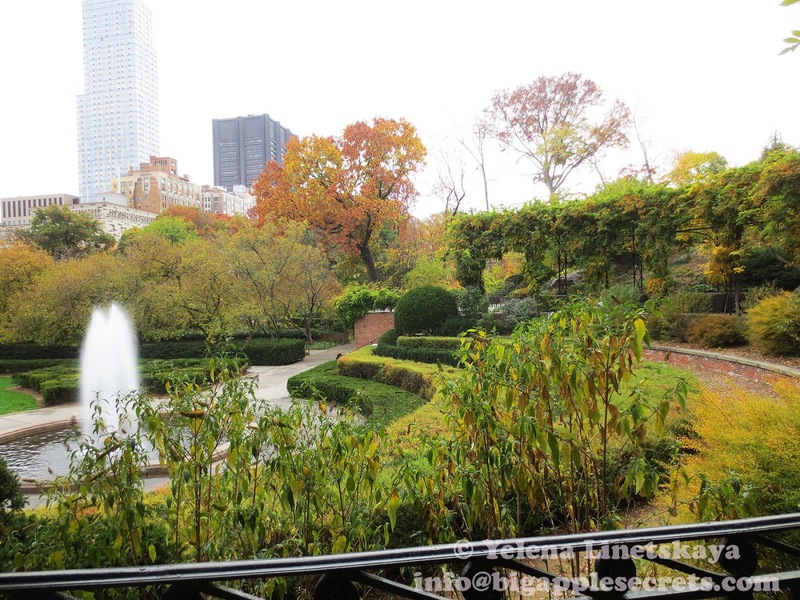 The Conservatory Garden is in fact three gardens representing different landscape styles: Italian (center), French (north), and English (south). 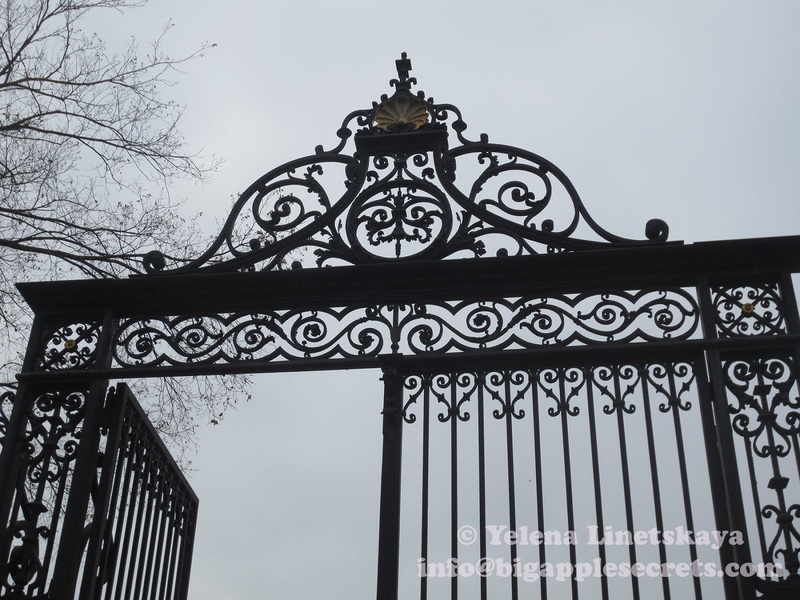 To enter the six-acre Garden from Fifth Avenue and 105th Street, you must pass through the Vanderbilt Gate. 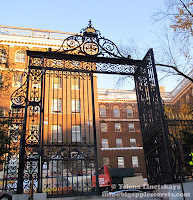 The gate was designed by American architect George B. Post, made in France and served as the front entrance to Cornelius Vanderbilt II’s magnificent mansion- the largest private residence ever built in New York City, that stood at Fifth Avenue and 58th Street from 1883 to 1927. 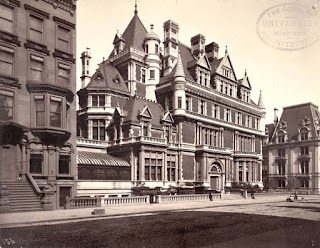 Cornelius Vanderbilt II died in 1899, and his fife Alice never remarried and lived in the mansion with here 37 servants. Alice held the house as long as she could, but by the outbreak of World War I she was forced to sell it. 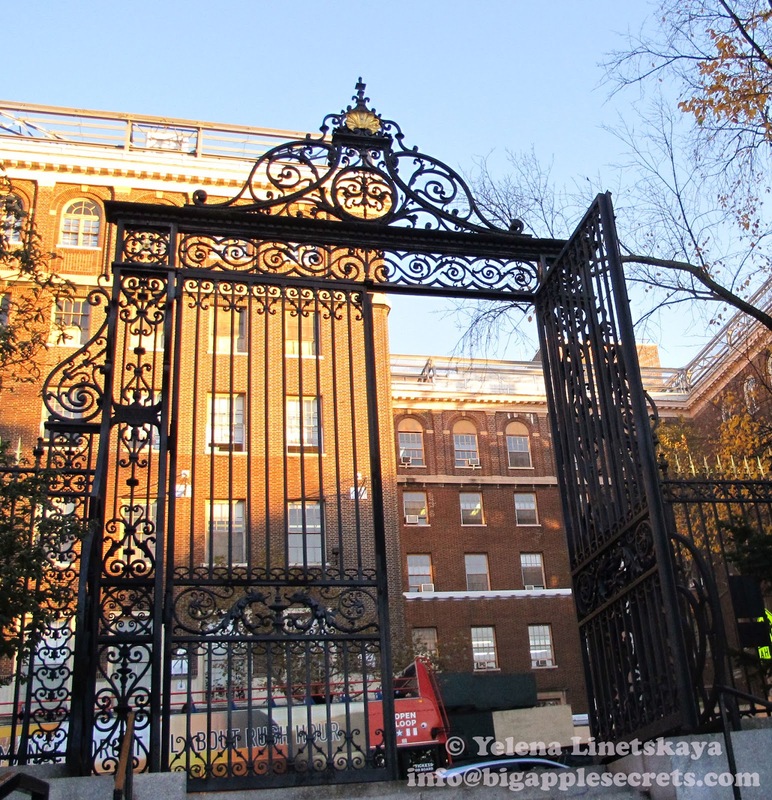 Before selling it, she donated as many elements from the interiors as she could, including the 10-foot-tall metal front entryway gates. In 1925 the house was bulldozed to make way for Bergdorf Goodman. 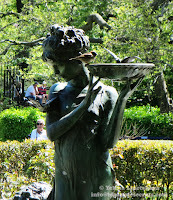 Alice Vanderbilt died the year the Conservatory Gardens were being planted. 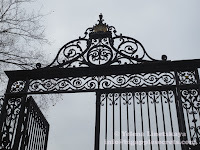 Five years later, in 1939 the gates were installed at the park. After the Second World War the garden had become neglected, and by the 1970s a wasteland. It was restored , partially replanted and reopen in June 1987. 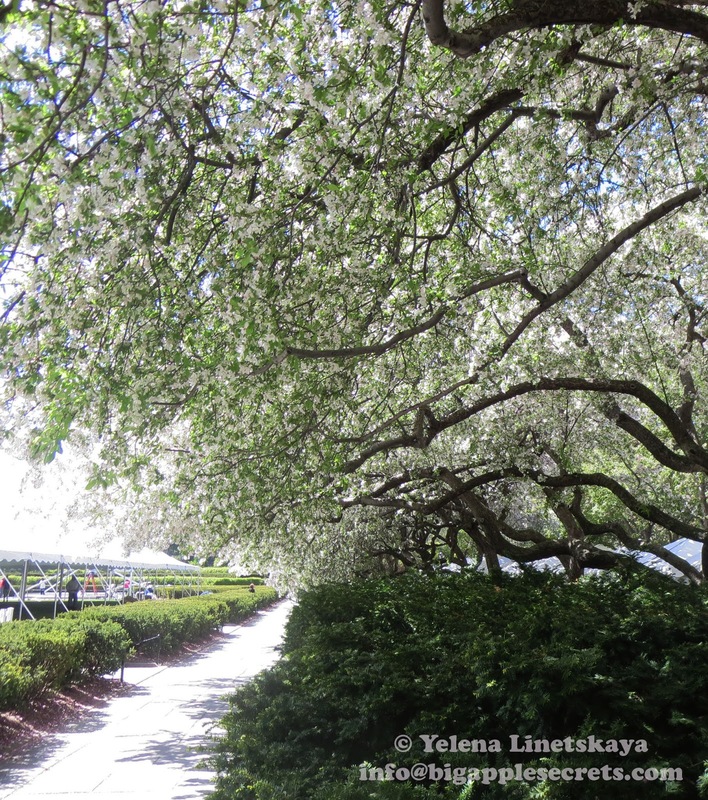 An Italian-style garden is bordered to the north and south by alleés of crabapple trees; their bloom times vary from mid-April through the first week of May, depending on the weather. To the north is the classical French-style garden. At its center is the Untermyer Fountain, donated to the park by the children of American lawyer and civic leader Samuel Untermyer. There is a sculpture Three Dancing Maidens by German sculptor Walter Schott's in the center of fountain. Originally, the sculpture was located at the Untermyer estate in Yonkers, New York, though how Samuel acquired the cast from the Berlin original. The southern garden is English in style. Sheltered in the center is the Burnett Fountain, a bronze sculpture of two children, Mary and Dickon, characters from Frances Hodgson Burnett's book The Secret Garden. 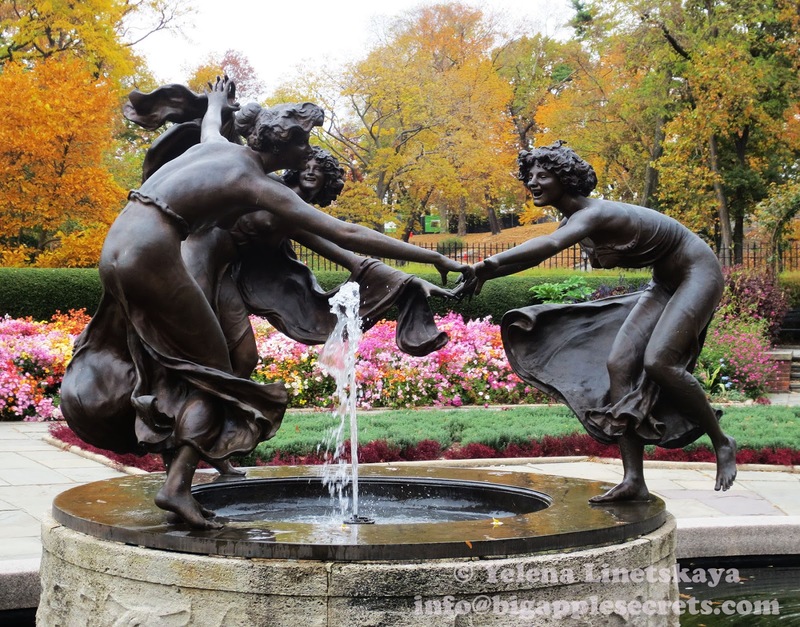 The fountain was created by Bessie Potter Vonnoh and installed in 1936. 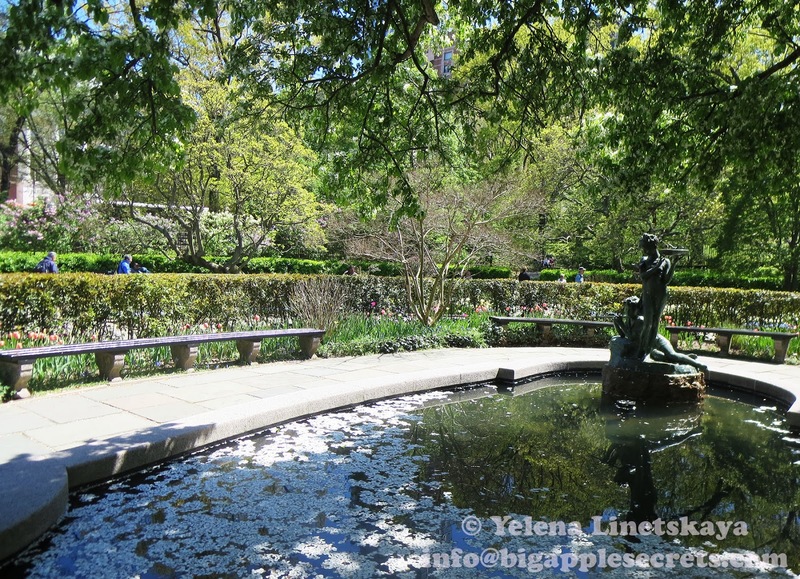 The children are on a pedestal - Dickon playing a flute and Mary listening in the center of a reflecting pool where water lilies float in the summer. 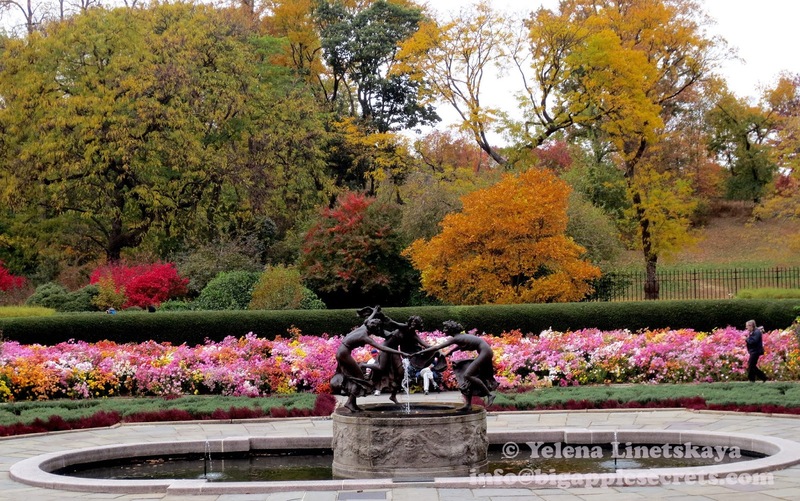 The Conservatory Garden is the location of numerous ceremonies and photo sessions each year. 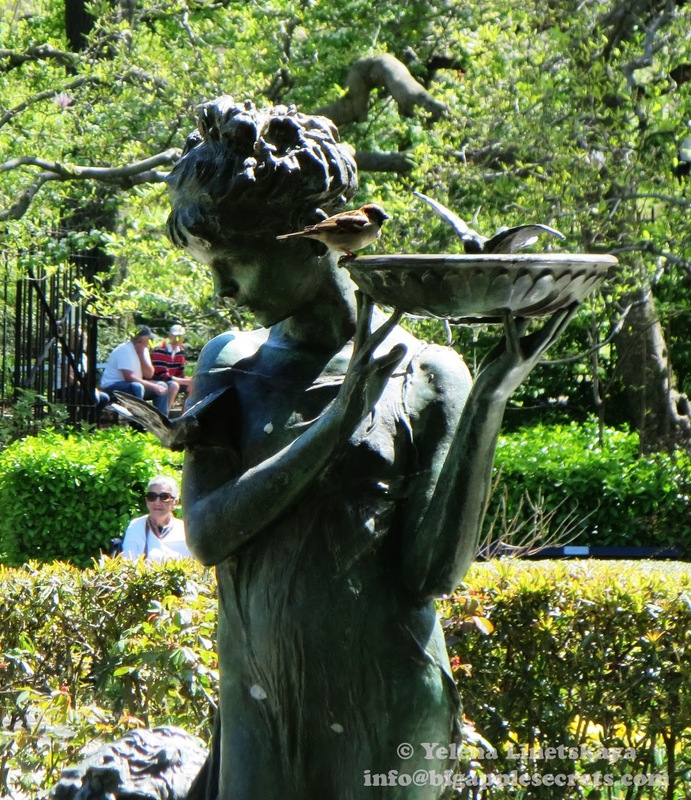 Ceremonies and photography sessions at Conservatory Garden require permits from the Central Park Conservancy. Wedding Ceremonies Permit fee is $400, parties are limited to 100 people and additional fee of $100 for photography is applied. 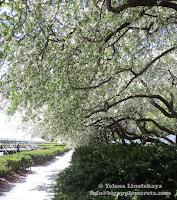 NYC arts wrote about the garden: The garden is one of the jewels in the crown of all Central Park. Nowhere else in Manhattan is there such a varied and wide collection of blooming plants. 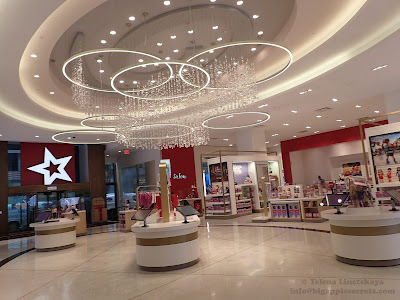 Home to thousands of flowering trees and shrubs, annuals and perennials, the garden covers six acres and has a geometric design that contrasts sharply with the soft, natural contours of the rest of the park.